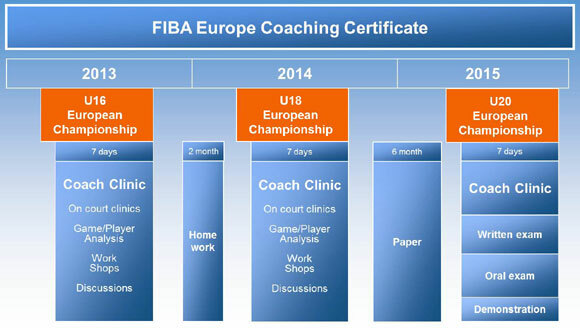 The FIBA Europe Coaching Certificate programme is set-up to enhance the knowledge of European basketball coaches in the area of the development of young talent. This programme, focusing mainly on the development of fundamentals, is not aimed at the basic level coaches but at those who already possess a reasonable knowledge in this area. The programme will provide a large range of competent knowledge of the best ways to develop the young player by focusing on the main principles (What to teach?) and methods (How to teach?). This knowledge will be shared by experts representing the most successful youth programmes in Europe. The goal is not to show ONE method of working with young players, but rather to offer a variety of successful ones. 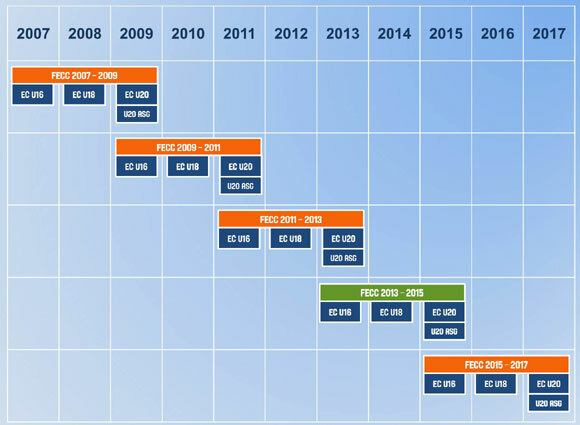 The FECC is a unique and progressive coaching education programme. 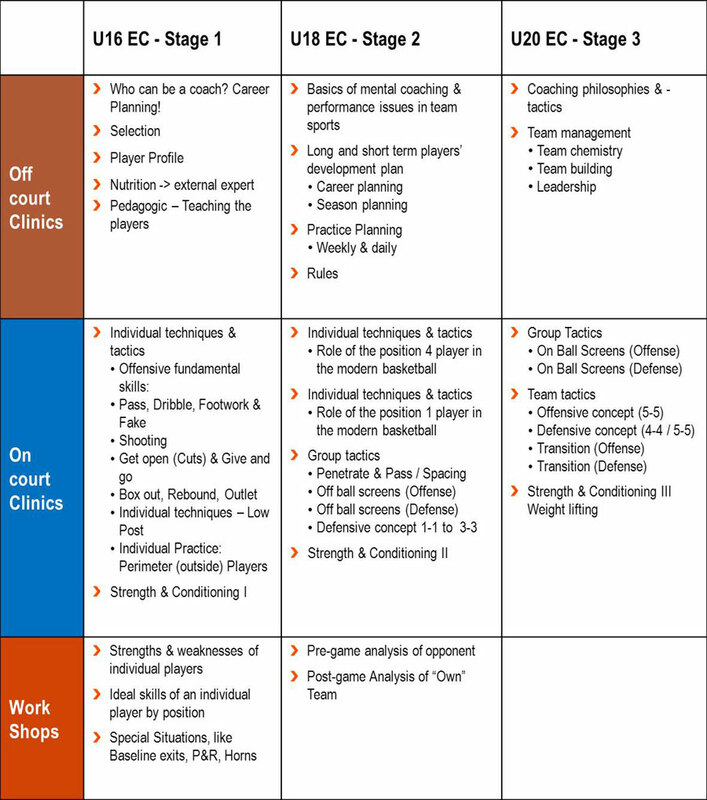 It is unique because it is presented and tutored by an international group of experts (the FECC Project Group) offering the best tools and methods in European coaching. It is progressive because the FECC provides the opportunity for the participants to learn and use coaching software and websites as well as make new contacts with fellow coaches across Europe. The interactive workshops will give the coaches the opportunity to present their knowledge to the group and each participant will get feedback on their work. In between the clinics the coaches are working on paper assignments and homework. The final exams are one important part of the FECC and will decide if the participants receive the certificate. The graduates from the FECC will receive an extremely rare and valuable qualification and they are FIBA Europe approved coaches for developing young players. All participants have been identified already by their national federations as the most talented coaches for the future. By completing the three years programme and receiving the FECC, each coach will receive excellent recommendations and increase their prospects of finding a coaching job in Europe and the rest of the World. You can learn more about the U18 All Star Game during EuroBasket 2011 in Kaunas, Lithuania here!